Why start Laser Hair Removal in Autumn? It’s important to avoid sun exposure before and after laser hair removal. After summer, we naturally dress in more layers and stay inside more to keep warm, reducing our sun exposure. Hair grows in cycles, so treatments every 4-6 weeks (until the majority of follicles are destroyed) are recommended for best results. Starting now means your treatments will likely be completed by the time you’re breaking that bikini out again. You’ll save money in the long run on razors, shaving products, and/or waxing appointments. So you can splurge on those gorgeous ankle booties you’ve been eyeing, guilt-free. For a limited time, we’re offering 50% off your first laser hair removal service, AND 25% off your second service with Jen. One time use per customer. 50% discount can only be applied to initial appointment, redeemed by November 16th, 2017. Cannot be combined with any other offers or promotions. Jennifer is our professional Licensed Electrologist and Laser Hair Removal Technician. 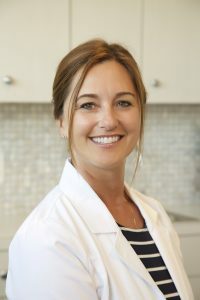 She graduated from the Electrology Institute of New England, as well as completed certification from Cutera University and InLight Laser Training for laser hair removal and IPL (intense pulsed light laser). Jennifer’s warm and friendly nature, combined with her superior skill and attention to detail, provide a pleasant client experience and ideal service outcomes. Learn more about laser hair removal and electrology here.